Born in Maasdijk, Holland Pieter Bijl (31) has been windsurfing since he was 14 and started racing when he was 16. He started doing the PWA tour, when he was 18. Pieter was on Fanatic boards in the past and it will be interesting, how he will end up on his new boards. The current Slalom worldchampion Antoine Albeau is using them very successfully for two full seasons already. Jason Polakow welcomes Pieter Bijl to his team (Pic: JP-Australia). In 2007 Pieter Bijl finished 6th in the PWA Slalom ranking. After a 3 year break from the PWA tour Pieter is now very eager and fully ready to come back and give it all to make it into the top 10 in 2011 and hopefully even further up in the coming years. Pieter is now based on Maui and works for NeilPryde as head of testing since 2002. So he gets to spend a lot of time in the water and knows how to tune his equipment. 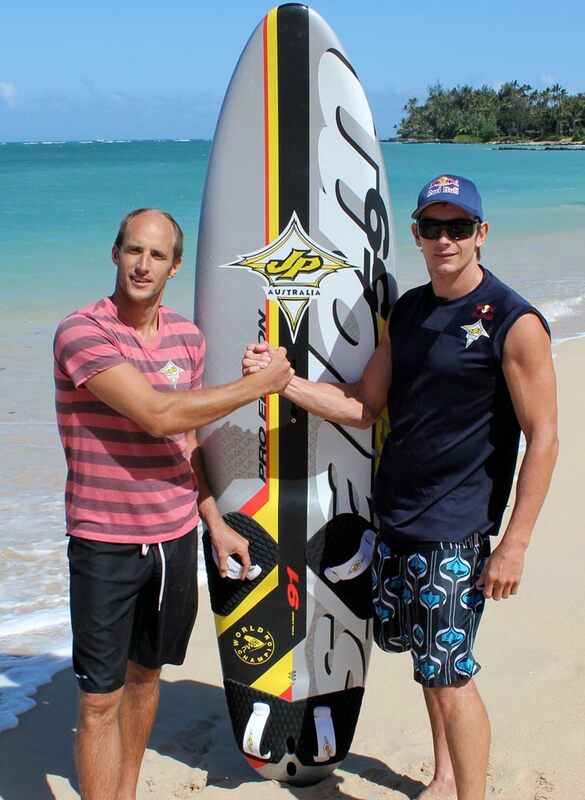 He will also be involved in the future JP Slalom board development together with Antoine Albeau and Micah Buzianis. Alle tijden zijn GMT +2. Het is nu 05:11.